Despite betting being illegal, other than through the official state lottery, the concept of gambling is inherent in Thai society and Thais themselves love nothing more than a wager, anything from dice and cards to horse racing, boxing and football. Back-street gambling dens are a fixture in most Thai towns and betting reaches epidemic proportions during major sporting events. The football World Cup is no exception and these underground bookmakers will see huge increases in the sums of money changing hands and number of people using their services. I have often stated that Thai people are very short-sighted when it comes to their financial affairs and managing their money. Although, I’m hardly one to be giving advice in this field, as I have also been guilty of spending beyond my means on credit cards. But, the lack of financial planning displayed by most Thais is mind-boggling and makes me look a shrewd hedge-fund manager. Thais have the ability to spend money like it’s going out of fashion and this trait crosses the social divides, from the poorest rice-farmers to the ϋber-rich. 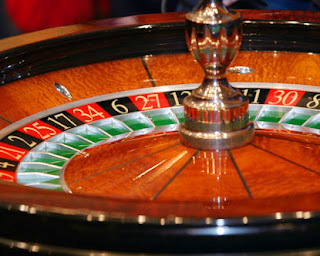 I describe it as a “live for today” mentality and the Thais love of gambling fits in nicely with this idea. But why do the Thais love to gamble? Is it means of escapism, from their harsh way of life and the dire economic realities? Is it simply that they want to have fun? Or is there another reason? In my humble opinion, it is to do with the fact that while all Thais want to be rich, the majority of them don’t want to work hard for the rewards and they are looking for away to make as much money as possible with the least amount effort. This is understandable, because in Thai society, enormous emphasis is placed on money. By acquiring wealth, Thai people can acquire status, power and quickly improve their social standing. The government has become increasingly concerned at the level of gambling and a recent poll of students suggested that nearly 60% of them had placed a bet, despite knowing they’re committing a criminal offence. I read these statistics in a recent article in the Bangkok Post and if you want to view the article please click here…….. The authorities are planning a massive crackdown on gambling and those involved in the industry, within in the next few weeks. However, I fear this will be a futile gesture, as many police officers are paid by the bookmakers to turn a blind eye, much the same as with other illegal activities!!! I like a flutter now and again and I will certainly be paying my turf accountant a visit during the course of the South African world Cup. But, as a wise man once said “you never see a bookie cycling to work” and heeding this advice, you won’t see me re-mortgaging my house or selling my parents, just for the pleasure of winning a fiver when Wayne Rooney gets sent off!!! Why does my boss talk shite?